Fixes materials without the need for additional plugs. Use 6mm drill bit. Torx bit included. 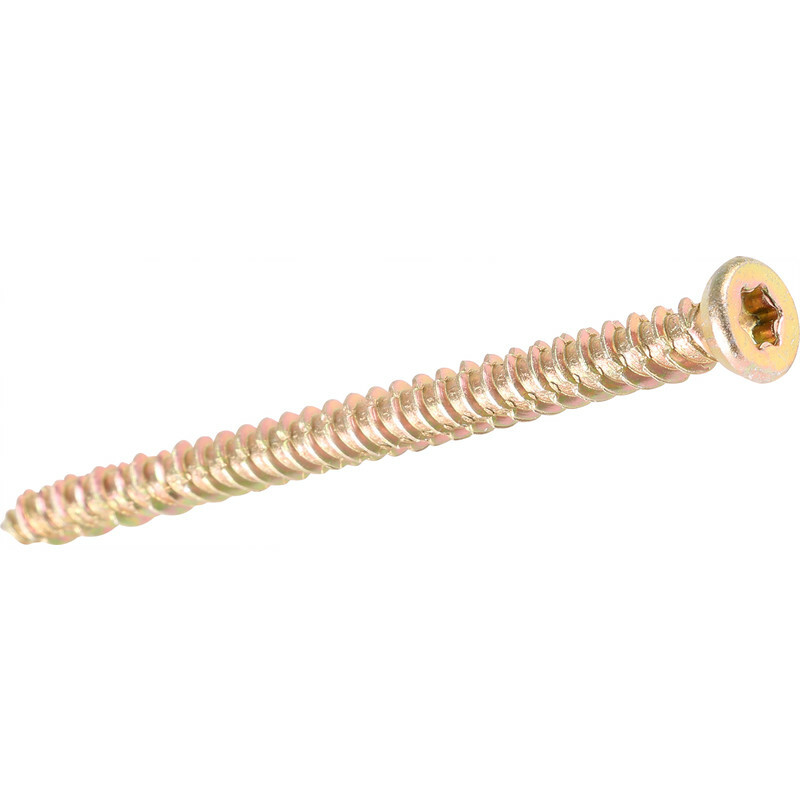 Masonry Torx Frame Fixing Screw 7.5 x 122mm (100 Pack) is rated 4.0 out of 5 by 4. Rated 4 out of 5 by penelopepitstop from Handy Great to be able to drill a 6mm hole and fix these straight through. Where these won’t hold, drilling an 8mm hole and inserting a ‘hammer fixing’ offers an alternative solution. Rated 3 out of 5 by Ap67 from Strong fixings Only tried a few. Some worked fine but some would not grip. Self tapped into my Rsjs ok though.